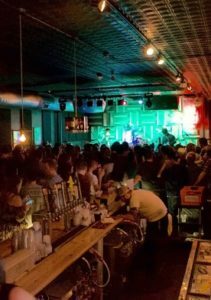 Elysian Brewing Co. has announced their national “The Dust Up Tour” will make a stop in Indianapolis at 7 p.m. on Thursday, July 19 at HI-FI Indy (1043 Virginia 4th Ave.) celebrating Elysian Brewing’s craft beers, local artists, musicians and culture. Elysian Brewing’s Dust Up Tour will feature performances by renowned local bands Brother O’ Brother, Veseria, and Joshua Powell & The Great Train Robbery all anchoring the free show and celebration. 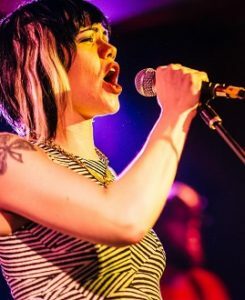 The event is centered around performances by popular local bands, while giving fans a chance to enjoy the Seattle-based brewer’s limited and most popular selections. Admission to the event is free for guests 21 and over, including a +1, with an RSVP on Do317. Guests are admitted on a first-come first-served basis and the first 200 will receive a commemorative, hand-screen printed poster that will be live screen printed by local artist, designer and screen printer Aaron Scamihorn during the event. 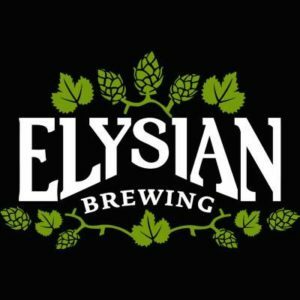 To mirror Elysian Brewing’s adventurous and space-themed brews, a 3D projection-mapping artist will enhance the event with live visuals projected around the venue. Guests will be fully immersed in the Elysian Brewing Co. brand and the spirit of rock and roll in Indianapolis. 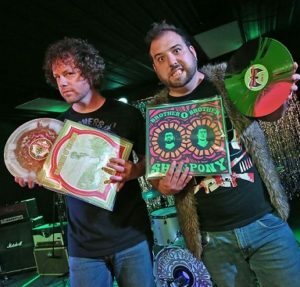 Defying notions of what a 2 piece act should be, Brother O’ Brother‘s live performance has been dubbed the best live performance in all of Indianapolis by multiple press outlets as well as the best rock band in all of Indianapolis by NUVO for 2017. Mix MC5 with early Black Keys and you’ve got it. B.O.B. has toured to the tune of nearly 200 dates in the last 2 years, received critical acclaim, played both Third Man Records locations, & pumped out more vinyl than one can imagine in the last few years on 6 different labels. On the heels of “NEON NATIVE” Brother O’ Brother will be releasing “Monster Truck” on Romanus Records in 2018 & continue their DIY fuzz ascent. 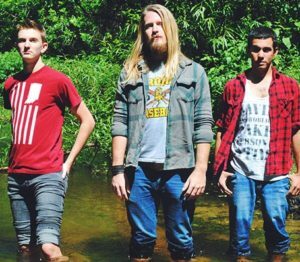 Veseria is a rock and roll fusion band from Indianapolis, Indiana. Fronted by the husband/wife songwriting team of Jen and Patrick Roberts and combined with the explosive musical talents of Kyle Perkon, Kels Arntzen, and Ben Jarvis, the band produces music that defies typical genre categorization and brings its audience to higher truths. Their 2017 release, “RLTVTY” was met with praise by critics and fans alike with HuffPost declaring it “Dynamic and visceral…” while Tattoo.com said the album is “A burning flame of passion and desire”. The band is currently working on its next release due out later this year.